Hey guys I know next to nothing about cars, especially vintage foriegn cars. Was not sure how to find out information about a car I found so I thought a car forum may be a good place to start. I live in Charleston, SC and hunt a 1700 acre peice of land. 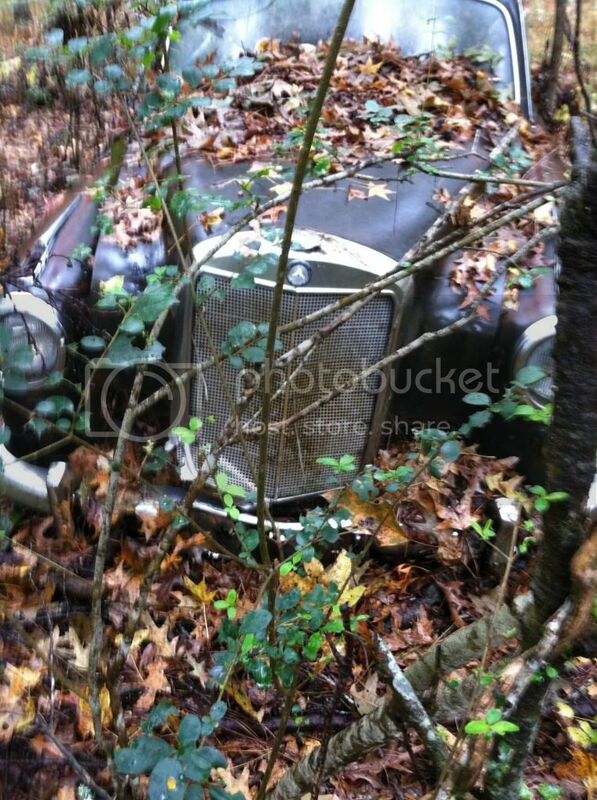 Well yesterday when I was scouting I came across what looks like a 4 door silver Mercedez that I would esitmate is from the 50's. It was literally in 1000yds in the woods next to a small creek. Really bizare. It looks like its been there for years and is obviuosly rough shape. However all of the grille, lights hardware interior etc look to be original. It even still has the motor in it. I am goign to go back tomorrow and snapp a few more better shots and post them for you guys. Curious if it is worth going through the trouble to pull out? 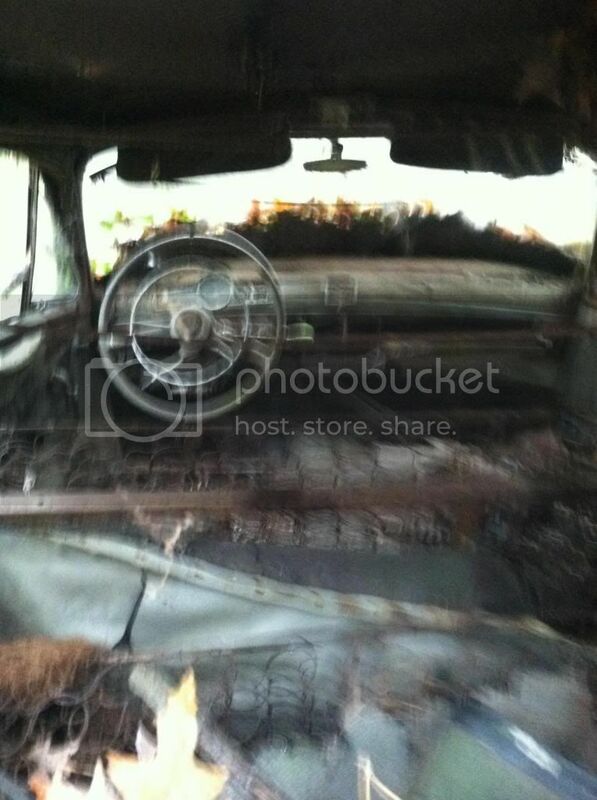 Are would it still have usable parts for someone to use to restor theyre car? That looks older than the '50s. I think I would check the trunk for bones! Can't peg exact anything just yet. You asked if it's worth anything so I ask if it is really yours to take at all. By your current pic I don't think it's been in that spot all that long but who knows? Added a few more pics. And trust me its been there a while. There are 20 yr old pines growing around it that would have been in the way had it been moved recently. Also I found it far from any rd, and our land owner who is elderly said he has never seen it and has no clue were it could have come from. Land has been I his family for 4 generations. And i can do what i want with it. So relax! 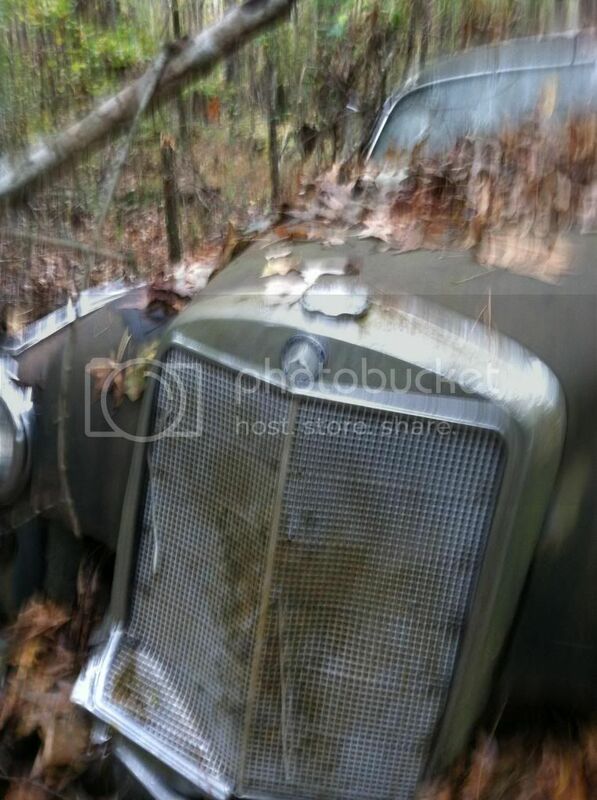 OK - IMO it's parts only but for all I know there's something extremely rare about it but doubt it from where I found pics back on Post #5 just off the web hunting. I know of one place that does up Benzos locally but never saw a plain something. Always some rare convertible, special something. Not sure if any chrome or metal would fit a rare car or for all anyone knows they are hunting for dinky things and would re-chrome or restore brightwork which can be tough to find if missing on another already done up or for all I know a fine original. 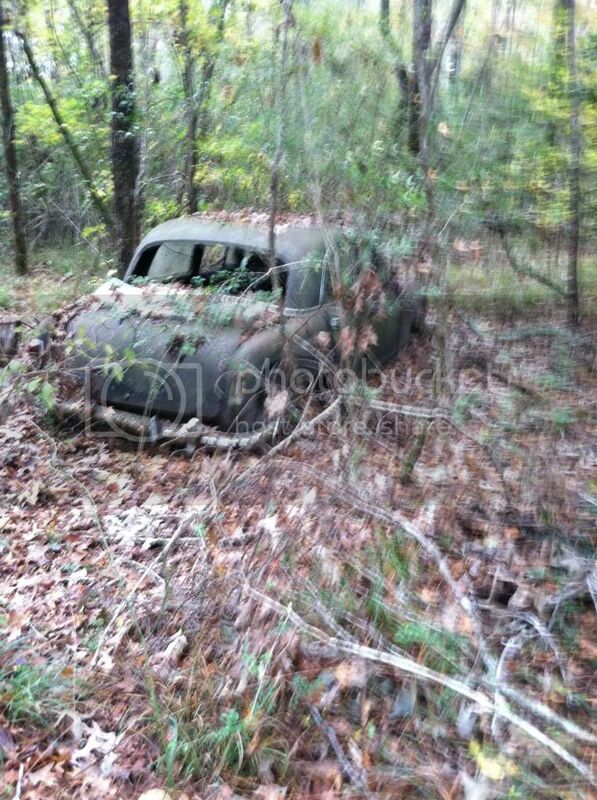 Check out the web for what folks are selling for parts to see if this one is abundant or nothing found. Hemmings Motor News and others have dealt with the old car biz since forever and still do. I can't help but see if any serial #s or anything can be found and write it down or good pics which should identify it better. Thank you for your imput. I am still working up the courage to get my head down in there to look for serial numbers as it looks like several different animals have made the engine block and interior their home. HAHA.